Over the last eight years, CLEE has been measuring our impact on high and equitable student outcomes, as well as educator practices that accelerate those outcomes. 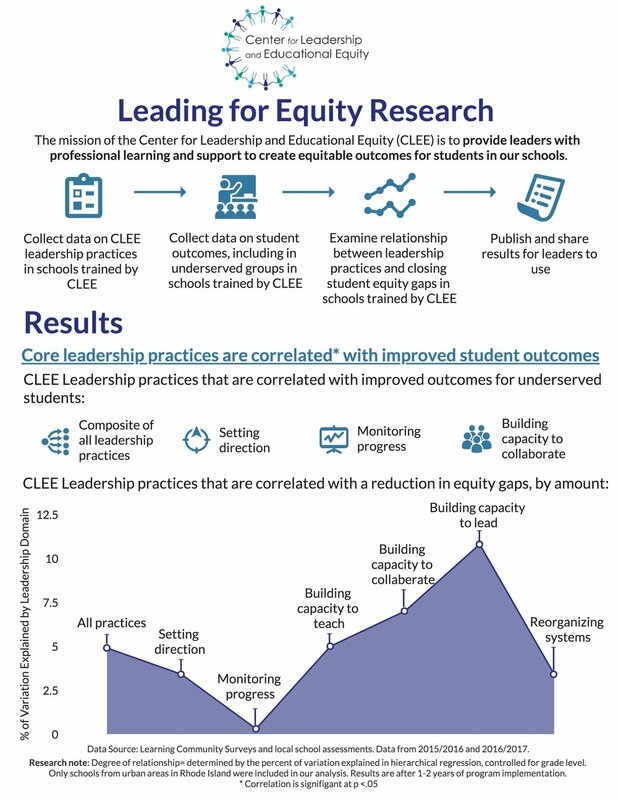 Check out our infographic to see a sneak peek of our latest results, which show a significant correlation between the 6 CLEE Core Leadership Practices and increasing equitable student outcomes. This data is evidence that when adults work together to improve their practice to increase equity, ALL students benefit and have their unlimited potential unleashed! We couldn’t wait to share the news and will release a more detailed report shortly.